Their mission is to help smaller businesses achieve their ambitions. Established over 40 years ago to help their members succeed in business, they are a non-profit making and non-party political organisation that’s led by their members, for their members. They don’t only provide fantastic membership benefits - FSB is also the UK’s leading business campaigner, focused on delivering change which supports smaller businesses to grow and succeed. 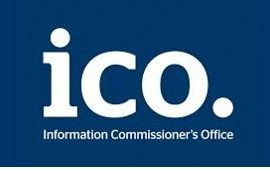 The Data Protection Act 1998 requires every organisation that processes personal information to register with the Information Commissioner’s Office (ICO), unless they are exempt.